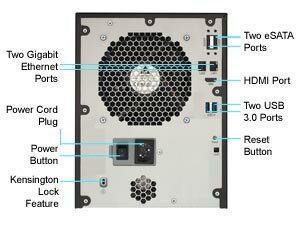 The ReadyNAS 300 series is an advanced and intuitive solution centralizing, securing and controlling access to your digital assets. More than just unified (NAS and SAN) storage for your business, each ReadyNAS includes innovative technologies such as unlimited snapshots, thin provisioning and cloud-managed replication. 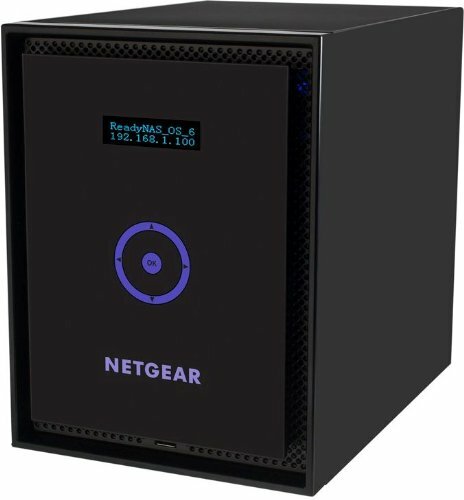 Designed to service between 5-25 simultaneous users, the ReadyNAS 300 is an ideal storage solution for small offices. Unlimited Snapshots. Now on the desktop—ReadyNAS gives you continuous data protection with unlimited block-based snapshots of your file system. Create and track multiple versions and restore any point of time with a single click. Move it here. Copy it there. Store it anywhere—Whip through file-based remote replication from anywhere. Powered by the ReadyCLOUD platform, Replicate makes it simple to copy, move and store data offsite for protection and peace of mind. ReadyCLOUD: easy cloud-based set-up, management, and replication—ReadyCLOUD allows you to discover and manage any ReadyNAS device from the cloud – just plug the unit into your network, log onto the Internet, and set-up is as simple as clicking a button. Stop risk before it starts with Real Time Anti-virus & Encryption—Whenever a file is written to the ReadyNAS, the file is scanned in real-time to prevent any danger – a must-have requirement when using bit-torrent or downloading files directly from the Internet to the ReadyNAS. 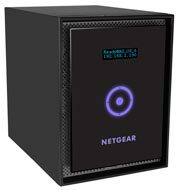 ReadyNAS Encryption also gives you real-time protection, encrypting files as they’re written. 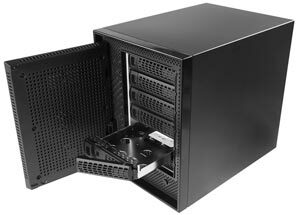 Expands growing data—ReadyNAS 300 series is available in a 2, 4, or 6 bay configuration with a maximum capacity of 4TB hard drive per bay. File-sharing has never been easier—You’re on your tablet and you need that file from your computer. ReadyNAS centralizes your files to make that happen simply and quickly. Whether Mac, PC or Linux, access your files anytime, even at the same time, from any OS type of device. Back it up. Restore it. Sleep well—Rest easier knowing that your important financial and personal data is safely backed-up and accessible anytime from anywhere. If you lose it, ReadyNAS makes it easy to restore your data. Disaster Recovery—The custom-built ReadyNAS OS protects stored data with automatic RAID configuration, the continuous security of Unlimited Snapshots and more. By maintaining multiple copies of vital data through cloud replication, it makes it easy for you to move data off-site to protect against natural disasters and theft. Virtualization—With Unlimited Snapshots, thin provisioning and improved iCSI support, ReadyNAS delivers a virtualization platform with next generation features at an affordable price. If you have difficulty accessing the local admin page or if you notice unexpected behavior try using another browser. Qnap TVS-882ST3-i7-16G-US Ultra-High Speed and Compact 8 bay Thunderbolt 3 NAS/iSCSI IP-SAN Solution.